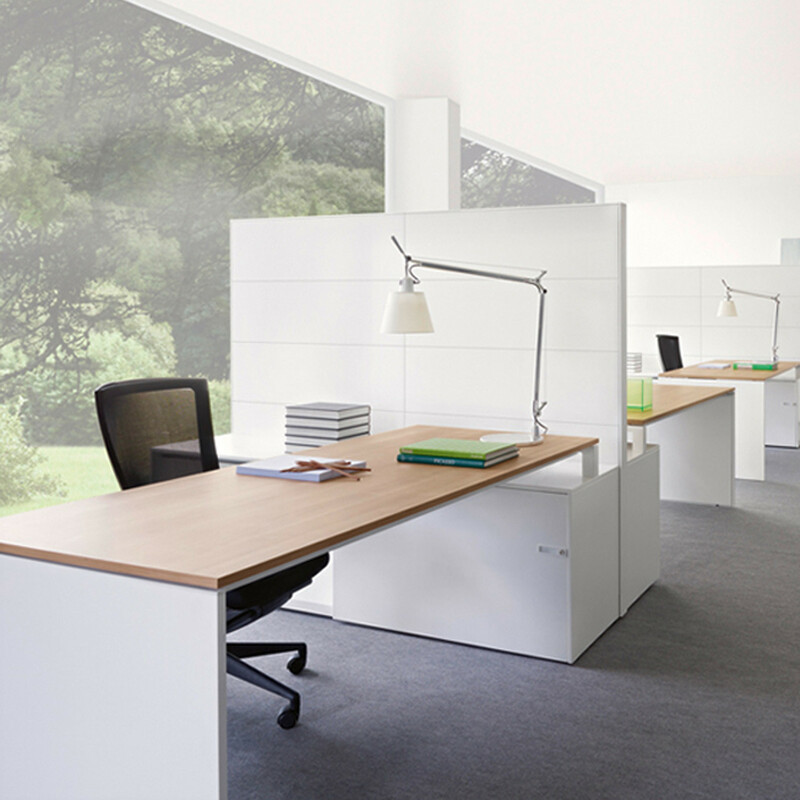 L-System Office Bench Desks provide an easy and practical solution for office environments of the future. Aesthetically pleasing in detail and functionality, L-System is equipped with 19mm tabletop workstations available in various wenge, oak or white. Leg frames are constructed using rectangular steel piping, ending with plastic levellers; leg frames can be finished in gray, chromium plating or transparent. L-System Bench Desks allow the introduction of some colour dynamics to the carried out installations: yellow and green pistachio. The stability of the table is assured by two tubular dashes that are connected to the feet or to the tips. The dash function is not only used to give stability but also to incorporate a metallic electrification piece of support, apart from the different ridges. From L-System range of products we highlight the multiple work places with developed electrification solutions and at the same time efficient in what concerns to the cost where we verify the added value to its users and buyers. You are requesting a price for the "L-System Bench Desks"
To create a new project and add "L-System Bench Desks" to it please click the button below. 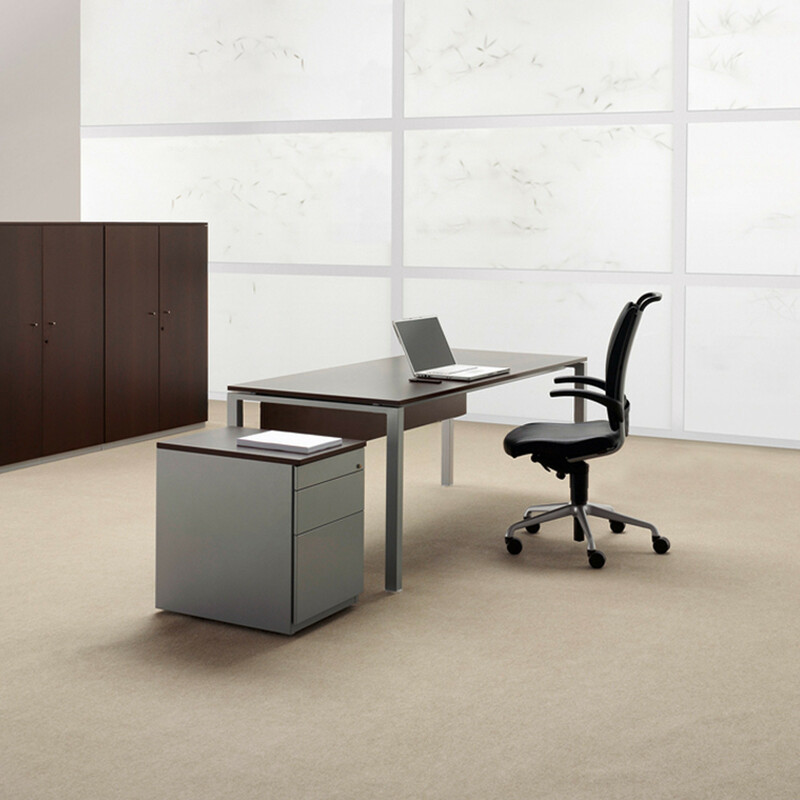 To add "L-System Bench Desks" to an existing project please select below.